The concept we know as an event—the unification of people around a shared experience—is an old idea; one with roots extending through the course of history. Be it cave men planning the next hunt, a luxurious Royal Ball in medieval Bavaria, or a Global Exposition, the fundamental goal has been the same – unification. So, while the event concept has evolved to function as a business-building initiative, the notion of the “event” itself hasn’t really shifted. There is both an up- and a down-side to this. 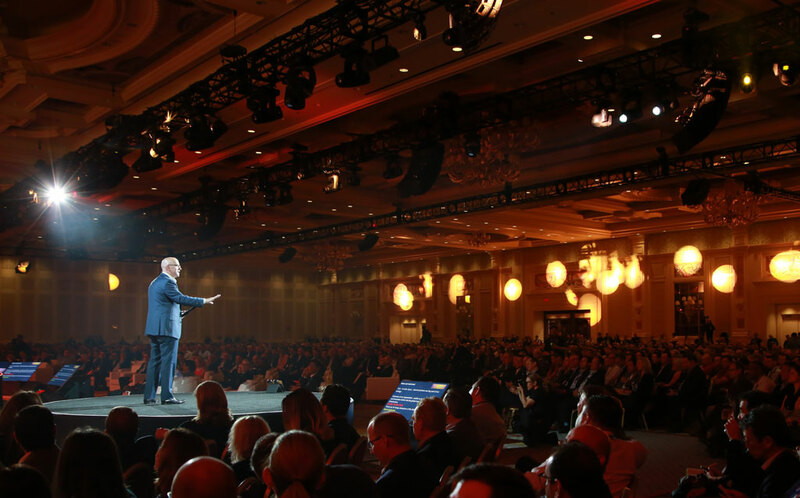 The upside: Because corporate events have proven to be a successful place to inform, inspire, train and entertain, investment continues year after year with, in many instances, incremental budgets. According to Bizzabo’s 2018 benchmarks and trends report, 87% of C-suite executives believe in the power of live events and plan on investing in them MORE in the future. The downside: Event-based initiatives are even now, often one- or two-steps removed from broader brand development and marketing activities; perhaps not even under the direct control of the CMO. Recent research by Oracle and Chief Marketer found that 47% of marketers do not have event marketing objectives tied to company business goals. Nearly half. Striking, is it not? This creates an environment where a multitude of messages are being conveyed and they’re not always aligned. This deluge of messaging is noisy and one that results in confusion for the target audience. Especially in today’s world, any engagement with an audience needs to cut through the noise of unnecessary messages and information with clarity and simplicity. This is why at InVision, we’re challenging ourselves and our clients to Make Change. Not Noise. Over the course of 2019, we’ll be demonstrating how we facilitate change that moves people and business. This entry was posted in Thought Leadership and tagged Chief Marketer, corporate events, events, live, marketers, messaging, Oracle, Tracy Verrett, unification. Bookmark the permalink.